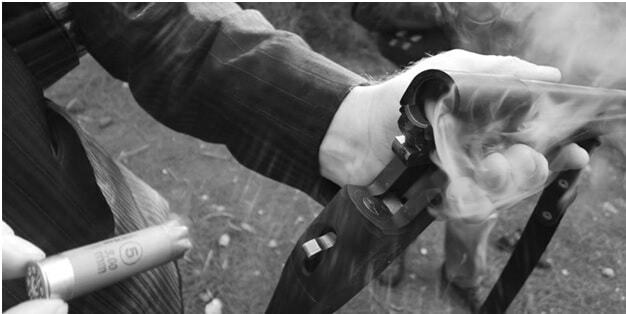 With a long history in the United States, the Marlin 1895 is already an intense rifle by itself. But with a perfect scope, you can still make it even better. Nowadays, hunters still use the Marlin 1895, especially for wilderness defense. Since they are ideal for intermediate ranges, they don’t need high-powered optics. Also known as .45-70 Government, the .45-70 rifle cartridge was developed at the Springfield Armory of the U.S. Army. The diameter of the bullet measures 0.45 inch or 11.63mm while the black powder weighs 70 grains or 4.56g. If you are looking for the best rifle scope for a Marlin 45 70, take note that this rifle works best with moderately powered scopes and red dot sights. 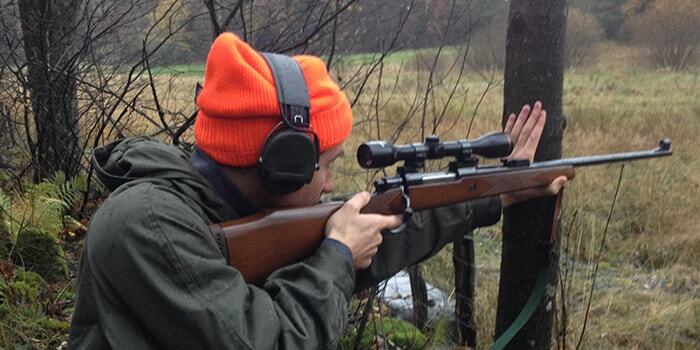 The scope should be able to accentuate the rifle’s strengths while lessening its weaknesses. The best scopes for the Marlin 1895 will increase the rifle’s ability to hit within 300 yards. Here, we gathered important information that you need while you are comparing scopes that will fit your hard-hitting rifle. Here’s a scope that’s eminently suitable for intermediate range shooting. It’s all right there in the specs, as the 24x max zoom offers you a clear view of your target even from far away. It helps that you also get a 42mm objective lens for greater clarity. The design of the Varmint 6-24x42 is all about making it easy for you to hit shots accurately at longer distances. Everything is about minimizing any problems and inconveniences, and the build quality is terrific as well. With the mil-dot reticle, this will work very effectively, and for a very long time. With the 24x magnification, you can positively identify targets from farther away, plus you can get an accurate target sight. The magnification zoom ring is designed for quick access. This features adjustable objective lens that lets you adjust for parallax. The optics is multi-coated too, so you get the image clarity you need. The field of view is wide at 15 feet for 100m at 6x, and 4.2 feet at 24x. So you can easily find your target through the eyepiece. The 3.5-inch eye relief offers enough space to protect your eyes from heavy recoil. The large objective lens and the multi-coating give you terrific image clarity. MOA adjustments are easy to make. It is waterproof, fogproof, and shockproof. You get the Barska limited lifetime warranty and it comes with scope caps too. It may not be good for low light conditions. It’s a bit bulky at 15.7 inches. Who says you have to spend a lot to shoot at longer ranges? This is certainly affordable given its 24x magnification, parallax adjustment, and image clarity. It works as it should, and it’s quite durable as well. Try and see how your varmint shooting improves. Here we have another Barska, and you again get the 42mm objective lens. This time the magnification range is just from 3x to 9x, so with the objective lens you can really get some bright images for your shots at closer range. You have fully coated optics as well, so you can certainly try for close to midrange shooting. This lets you shoot in different lighting conditions, and it’s quite reliable. The performance is outstanding, while you can certainly marvel at the craftsmanship that produced the rugged design. It can be used for close range action as well. This comes with fully coated optics to give you the image clarity you want. You get a dual-color mil-dot illuminated reticle, and you can choose between the red and green reticle. You can also adjust the brightness of the reticle so that you can see it even when the target is in the shade. This comes with the Barska limited lifetime warranty. You have externally lockable windage and elevation knobs so you can make quick and secure adjustments without accidentally changing the settings. The eye relief is magnificent at 4.33 inches to 5.3 inches. You can adjust for various lighting conditions. You can use this for rimfire, a pistol, or even a crossbow. It comes with a set of 7/8 Picatinny base rings. The black matte finish keeps you from alerting your prey. It’s only 9 inches long. It’s not for really long range shots. You better check if it can be used for your rifle. For your money, the features are certainly outstanding. It’s designed for closer shots and yet it has a very large objective lens to really give you a clear image. The illuminated crosshair work very well, and you can probably enjoy this even in dusk and dawn shooting situations. The Contender series from BSA Optics offer a remarkably clean design, and it has innovative features here that any experienced shooter would appreciate. It’s certainly well made, and it works reliably for a long while. If you’re trying to go just a little bit farther on your shooting range, then you may want to try this. The accuracy is impeccable, and your friends will want to get one too when they see you putting all your bullets in the same 1-inch hole at 200 yards. With the seals and the nitrogen fill, it’s waterproof and fogproof. It’s even shockproof too. This comes with a sunshade, and it keeps sunlight from interfering with your shot. 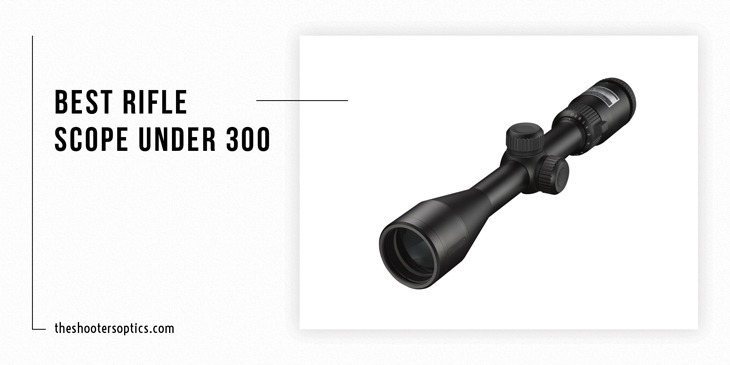 This offers a magnification range of 3x to 12x, so you don’t have to limit yourself to very close range shots. The 40mm objective lens is large enough to provide terrific light transmission for better image clarity. It has side parallax adjustment to really help with your shot accuracy. This holds zero extremely well. The objective lens is nice and large. It’s easy to adjust for windage and elevation. The 1/8 MOA clicks offer really precise settings. It’s not easy finding sellers, as lots of then run out of stock quickly. Newbies may take some time to get used to the reticle. This is one extremely reliable scope. You can rely on it to make it easy for you to adjust, to make sure you get accurate shots, and to last long. This can stand up to repeated recoil without losing zero, and even dropping it doesn’t seem to faze it. Try it, and you’ll appreciate how everything seems easy for you as you take your shot. Have you ever seen a “best of list” of scopes that somehow doesn’t have a Bushnell included? It’s a rare event, since the Bushnell brand deserves its lofty position in the industry. They always seem to produce scopes that can go toe to toe with the best of the rest. With the 3-9x 40mm Illum CF 500, you get the all-around configuration you want, along with some long rang accuracy. 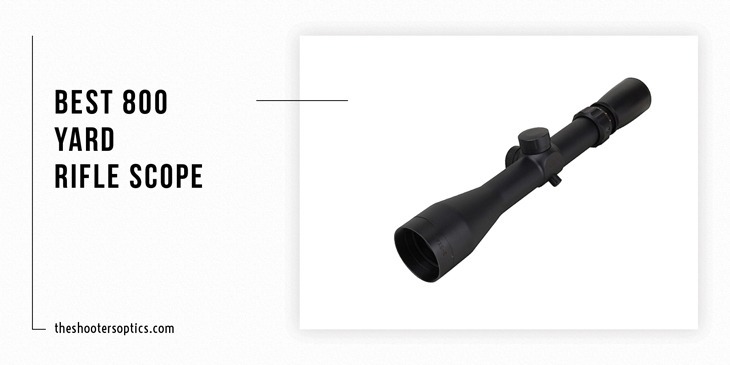 This is a versatile scope, and you certainly can enjoy it more if you like to hunt or shoot in low light conditions. Try it, and you’ll certainly like this 3-9x 40mm scope. The magnification goes from 3 to 9x, so you get ample zoom options. The 40mm objective lens enables great light transmission. This provides greater quality for the image clarity. The field of vision is wide as you get 40 feet at 100 yards using 3x zoom. It features Dusk & Dawn Brightness (DDB) multicoated lenses for greater clarity and image brightness. The illuminated reticle makes it easy to see, and it can switch from red to green. Its waterproof, fog proof, and shockproof. The eye relief is nice at 4 inches. It’s optimized for centerfire rifles. It’s great for low light conditions. You get a wide field of view. The zoom ring feels a bit cheap. The illuminated crosshairs aren’t all that bright. 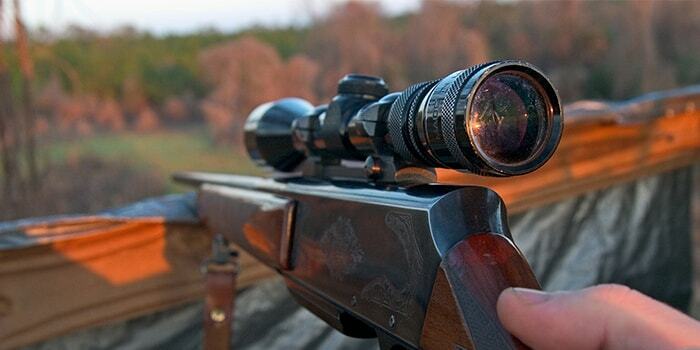 It would be very hard to fault you if you pick a Bushnell, as it’s a great brand for optics. That’s certainly true of the Bushnell Banner scopes, and this particular model is great, try it out when you’re hunting at dawn or dusk, and you stand a better chance of getting your prey. Every now and then you find a terrific scope that most people appreciate. That’s not the Leupold 113871 VX-1, and not because people hate it. In fact, people rave about it so much you’re going to have a devil of a time finding a negative review. It’s a bit on the pricey side compared to the sub-$50 scopes, but it’s actually a mid-priced model with superior features. It’s made in the US, if that matters to you. This is a 2-7x28mm riflescope, so you get variable magnification. It features a fine duplex reticle. You can use this to judge range and to compensate for bullet drop. 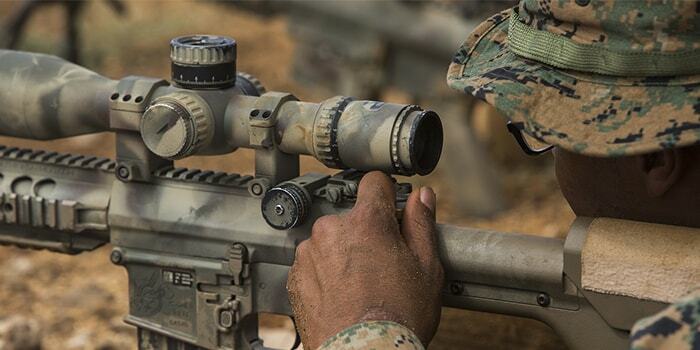 You get ¼ MOA precision finger-click adjustments for windage and elevation. Use this scope extensive for a lifetime, and you’ll always get repeatable and reliable results. It offers the Rimfire parallax, which is adjusted for 60 yards. It has the Multicoat 4 lens system that gives edge-to-edge visual field clarity, a bright sight, and terrific contrast. It’s easy to acquire targets quickly. It is waterproof and fogproof. It comes with high quality glass. Many consider it the best for the money. BDC hash marks would have been nice. It’s not really for long distance shooting. The gloss finish may spook some vermin (though it has a matte version). If you’re shooting for varmint, then this is just about perfect for your needs. Some may say that it’s too good for that, but the truth is that it’s just too good, period. It’s solid and very well-built, and it just performs as well as can be expected. To find the best rifle scopes for your Marlin 45 70, we checked what the rifle owners are saying. 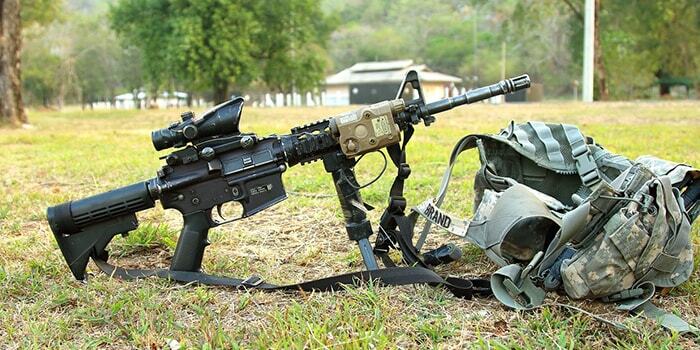 Their recommendations can be found in forums where the users suggest the scopes that should be or should not be used on the rifle. After making a list of the frequently recommended scopes, we looked for the details of each scope from the official website of its manufacturer. We took notes of the users’ recommendations that matched the details provided by the manufacturers. To further corroborate the details, we compared the lists of recommended scopes for the Marlin 1895 rifle. The lists have several similarities and they point out almost exactly the same things. There were a lot more than five scopes recommended for Marlin 45 70. But for this list, we just picked the five best models that we believe meets the requirements of most, if not all, rifle owners. Long eye relief is very important to hunters using the Marlin 1985. This is the factor that we gave importance to when we chose the five models to be included in this list. For the most part, we selected models from brands that are popular and have been trusted by gun owners for decades. The others are relatively new but they have qualities that make them stand out particularly for the .45-70 round. Along with the eye relief of the scope, we also considered the field of view. The other qualities we used as criteria for judging are waterproofing qualities, durability, image quality, glass clarity and easy adjustment. Battery life and price were considered, as well, but they were deemed secondary. The performance of the scope is given more importance because buying an affordable low-quality scope that doesn’t perform well be a waste of money and time. The most obvious answer to this question is of course the people who have a Marlin 45 70. We made this list with the assumption that you’re not a multimillionaire, so all the prices are very reasonable. Some are even ludicrously low. Of course, we also made sure that all the riflescopes here have the various features you may need. The particular features you need to have on the scope depend on your own preferences, though we’ve also checked that all the scopes on this list will work durably and dependably well. If you’re a shooter who actually cares about accuracy in the target range or while hunting, then you will want to take a look at our list of scopes. The Barska Varmint 6-24 x 42 AO Riflescope and BARSKA 3-9x42 Contour Riflescope IR Mil-Dot Riflescope, the BSA 3-12X40 Contender Series, the Bushnell Banner Illuminated Centerfire 500, the Bushnell Banner Dusk and Dawn Multi-X Reticle Rifle Scope and the Leupold 113871 VX-1 Rimfire work well with the Marlin 1895. However, they differ in terms of price and performance. As you can see, these models are price very reasonably and yet the features they offer are quite extensive and in high quality. For the most part they’re all mostly for close range, but the main exception here is the Barska Varmint 6-24 x 42 AO Riflescope. It’s more for intermediate range shots, and that gives you a lot more versatility. If you’re looking for utmost dependability, then you can go with either the Bushnell or the Leupold. You can’t go wrong with any Bushnell, as that brand has managed to acquire a well-deserved reputation for high quality. You can certainly rely on the Bushnell Banner Illuminated Centerfire 500 for many years of excellent us. However, the Leupold has managed to charm just about every customer who has bought and used one. It’s like no one has anything bad to say about it at all. Just about every online review on the Leupold 113871 VX-1 Rimfire is positive, and we are also one of its fans.